Quantum mechanics is based on the observed properties of particles, so it is clear that this is a mathematical theory that has little or nothing to do with reality. According to present physics, such properties as the constants used in physics are due to chance and therefore are not related. 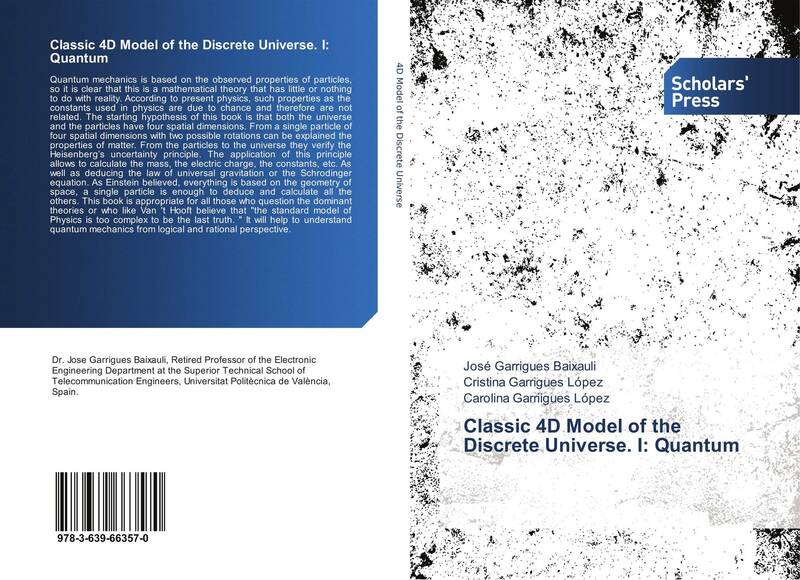 The starting hypothesis of this book is that both the universe and the particles have four spatial dimensions. From a single particle of four spatial dimensions with two possible rotations can be explained the properties of matter. From the particles to the universe they verify the Heisenberg’s uncertainty principle. The application of this principle allows to calculate the mass, the electric charge, the constants, etc. As well as deducing the law of universal gravitation or the Schrodinger equation. As Einstein believed, everything is based on the geometry of space, a single particle is enough to deduce and calculate all the others. This book is appropriate for all those who question the dominant theories or who like Van 't Hooft believe that "the standard model of Physics is too complex to be the last truth. " 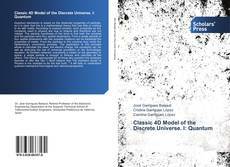 It will help to understand quantum mechanics from logical and rational perspective.